Multiple myeloma (MM) is the second most common hematologic malignancy and one of the leading causes of death in the field of hematology. Its average incidence is two in 100,000 people in Japan, but is constantly increasing with age; the incidence rises to 20 in 100,000 people in their seventies. Unrelated to a striking increase of the elderly population, the age-adjusted incidence of MM increased from 0.92 to 5.2 and from 0.81 to 4.8 per 100,000 men and women, respectively, during 1975–2010 in Japan . The introduction of high-dose chemotherapy with stem cell support and novel therapeutic agents, including proteasome inhibitors and immunomodulatory drugs, has significantly improved the treatment outcome of MM patients [2, 3, 4]. According to the recent data published by the Japanese Society of Myeloma, the median survival and 5-year overall survival were 38.9 months and 31.2 %, respectively, in 1208 patients mainly treated with a combination of alkylating agents and corticosteroids during 1990–2000, whereas these values improved to 60.0 months and 50.3 %, respectively, in 2234 patients who received novel treatments during 2001–2012 . However, the prognosis of MM is still worse than that of other hematologic malignancies, such as acute myeloid leukemia and diffuse large B cell lymphoma. Therefore, novel strategies for prevention, early detection and better treatment are in high demand, which should be based on the molecular pathophysiology of the disease. Recent extensive investigations with advanced technologies, such as high-density array-based gene expression profiling and next-generation sequencing (NGS), have a great contribution to the identification of genetic abnormalities in MM [6, 7, 8, 9, 10, 11]. In brief, normal plasma cells are transformed to myeloma cells by the deregulation of Cyclin D family proteins due to recurrent chromosomal translocations involving the immunoglobulin heavy chain (IgH) locus at 14q32, such as t(11;14)(q13;q32) and t(6;14)(p21;q32), and hyperdiploidy including trisomy 11, which increases the dosage of the cyclin D1 gene at 11q13, at the initial step of myelomagenesis . Further progression of the disease is mediated via point mutations of Ras-family genes and overexpression of the c-Myc oncogene. The terminal stage of myeloma progression is characterized by stroma-independent growth, which results in extramedullary diseases and plasma cell leukemia. Genetic abnormalities associated with this stage include mutational inactivation of TP53 , the protocadherin family , and inhibitory components of the NF-κB pathway . In addition, NGS analyses uncovered non-synonymous point mutations of epigenetic regulators such as KDM6A/UTX (10 %), KDM6B/JMJD3, MMSET (8 %), MLL (1 %) and HOXA9 [6, 10]. These achievements have been gradually translated to the clinic, which is best exemplified by the development of molecular targeting agents such as histone deacetylase (HDAC) inhibitors and BRAF inhibitors [16, 17]. In this review, we summarize the recent advances in basic and translational research on the mechanisms underlying drug resistance of MM cells with special attention to epigenetic aspects. Multiple myeloma is caused by neoplastic transformation of terminally differentiated B lymphocytes, called plasma cells, with capability of producing immunoglobulins [18, 19]. Like their normal counterpart, MM cells mainly proliferate and survive within a bone marrow milieu via physical and functional interactions with bone marrow stromal cells (BMSCs) and surrounding microenvironment [20, 21]. The interaction with BMSCs also confers anti-cancer drug resistance to myeloma cells via two overlapping mechanisms. First, BMSCs produce soluble factors, such as interleukin-6 (IL-6), to activate signal transduction pathways leading to drug resistance in myeloma cells . Second, BMSCs up-regulate the expression of cell cycle inhibitors (CDK inhibitors p21Cip1/Waf1 and p27Kip1), anti-apoptotic members of the Bcl-2 family (Bcl-2 and Mcl-1) and ABC-family drug transporters (ABCB1/P-glycoprotein, ABCC3 and NEK2) in myeloma cells upon direct contact through adhesion molecules and/or extracellular matrix (ECM) proteins that transduce signals to modify the gene expression program favoring cell survival [23, 24]. These forms of drug resistance are termed soluble factor-mediated drug resistance (SFM-DR) and cell adhesion-mediated drug resistance (CAM-DR), respectively. In addition to the innate or de novo resistance conferred by the bone marrow microenvironment, long-term exposure to anti-cancer drugs results in acquired resistance due to the enhanced ability of DNA damage repair and drug metabolism in MM cells (Fig. 1). The innate/de novo and acquired resistance are causally related each other to make MM one of the most reluctant malignancies . Following the adhesion of MM cells to BMSCs or fibronectin, IL-6 is secreted by BMSCs and/or by MM cells in an autocrine manner . IL-6 not only contributes to the growth of MM cells, but also implicated in the resistance to various apoptotic insults including Fas ligand and chemotherapeutic agents . These responses are mainly controlled through the JAK/STAT signaling pathway . For example, it has been reported that primary MM cells with the capability of autocrine IL-6 production are more resistant to dexamethasone than those without autocrine IL-6 signal . A blocking antibody against IL-6 receptors increases the sensitivity of MM cells to bortezomib, which highlights the particular importance of IL-6 in SFM-DR . Obviously, SFM-DR is caused not only by IL-6 but also by insulin-like growth factor-1 (IGF-1) [31, 32], stroma-derived factor-1 (SDF-1), hepatocyte growth factor (HGF) , vascular endothelial growth factor (VEGF) and epithelial growth factor (EGF) . The IGF-1/IGF-1 receptor signaling pathway is constitutively activated in bortezomib-resistant MM cell lines and serum IGF-1 concentration is significantly higher in MM patients refractory to bortezomib than in those who responded to the drug . Blocking of IGF-1/IGF-1 receptor signaling could induce apoptotic cell death in MM, which is enhanced by the combination with bortezomib . BMSCs were also shown to induce bortezomib-resistant NF-κB activity in MM cells by producing soluble factors including IL-6, IL-8, VEGF and tumor necrosis factor-β (TNF-β) from BMSCs . It is widely accepted that CAM-DR to conventional anti-MM agents, such as melphalan, doxorubicin and vincristine, is mainly mediated through VLA-4, a heterodimer of CD49d/α4 and CD29/β1 integrins, on MM cells [36, 37]. Other integrin molecules, including β7 integrin and VLA-5 (α5β1), may also play a role in CAM-DR in MM cells [38, 39]. The ITGB7 gene encoding β7-integrin is a transcriptional target of MAF family proteins, whose expression is detected in up to 50 % of MM patients and is particularly high in those carrying t(14;16), t(14;20) and t(8;14) due to IgH enhancer-driven transactivation . Primary MM cells with a higher expression of these adhesion molecules are generally more resistant to therapeutics and tend to be selected during treatment, tipping the contribution of CAM-DR to acquired drug resistance . A comparison of the gene expression profiles of isogenic cell lines that acquired melphalan resistance via adhesion to fibronectin and via long-term exposure to melphalan revealed that CAM-DR is mostly achieved through post-transcriptional mechanisms and the acquired drug resistance is associated with a specific transcriptome change . VLA-4-mediated CAM-DR is characterized by G1 cell cycle arrest accompanied by an increase in the expression levels of CDK inhibitors p21Cip1/Waf1 and p27Kip1, a decrease in Cyclin A and Cyclin E activity, and down-regulation of Bim, a proapoptotic member of the Bcl-2 family, all of which is accomplished through the modulation of ubiquitin-dependent degradation. Furthermore, VLA-4-mediated adhesion also induces resistance to apoptotic signals such as Fas ligand in various hematologic malignancies including MM via post-transcriptional mechanisms. For example, an increase in solubility and redistribution of c-FLIP inhibit DISC (death-inducing signaling complex) to block Fas-induced apoptosis . It is obvious that SFM-DR and CAM-DR are not completely separate pathways but rather are closely related to each other. In line with this notion, the synergistic anti-apoptotic effects of VLA-4 and IL-6 signaling was shown to converge on the STAT3 activation pathway in MM cells . Similarly, VLA-4 activation synergistically promotes drug resistance with HGF through the PI3K/Akt and NF-κB signaling pathways in MM cells . An emerging concept of cancer stem cell (CSC) proposes that a small population of tumor cells are particularly resistant to chemotherapy due to their ability to be quiescent and efflux anti-cancer agents via drug transporters, which hamper the effects of cytotoxic drugs typically targeting rapidly growing cells, and ultimately cause relapse via continuous self-renewal, asymmetric division, and differentiation into mature and growing cancer cells . Cancer stem cells also possess epithelial–mesenchymal transition (EMT)-like phenotypes, which underlie local invasion, extramedullary involvement, distant metastasis, and drug resistance. Several lines of evidence suggest that this is also the case with MM [45, 46]. The CD138 antigen is a transmembrane (type I) heparan sulfate proteoglycan, called syndecan-1, and is expressed almost exclusively on mature plasma cells and their malignant counterpart but not on mature B lymphocytes including post-germinal center and memory B cells . Surface CD138 expression is detected in nearly 100 % of MM cells and is used as a marker for diagnosis and isolation for research purposes. Cancer stem cells of MM are believed to reside in a CD138-negative population, which expresses phenotypic markers of memory B cells (CD138−/CD19+/CD20+/CD27+) and possess stemness features including drug resistance . A novel 3D-model also reveals the expression of CD20 on drug-resistant MM cells . CD19-positive clonotypic B cells are detectable in the peripheral blood and bone marrow of MM patients [50, 51]. On the contrary, Hosen et al. argued that MM-initiating cells are enriched in the CD138−/CD19−/CD38++ component, whereas CD19-positive fractions fail to engraft in SCID mice. CD138-negative myeloma stem cells are enriched in a side population (SP) and resistant to dexamethasone, lanalidomide, bortezomib and carfilzomib due to the enhanced activity of aldehyde dehydrogenase 1 and drug efflux pumps (ABCB1/P-glycoprotein and ABCC3) [53, 54, 55]. A seminal report by Leung-Hagesteijn et al. identified that CD138−/CD38+ subsets show innate resistance to bortezomib because they lack XBP-1, a transcription factor essential for plasma cell development as well as an unfolded protein response and subsequent endoplasmic reticulum (ER) stress-induced apoptosis. Chromatin is a highly ordered structure composed of DNA, histones and other chromosomal proteins. Histones are proteins found in all eukaryotic cells and form a unit known as the nucleosome, which consists of a histone octamer (H2A, H2B, H3 and H4, two pairs of each), around which 147 bp of DNA are wrapped, resulting in a tight DNA packaging. The nucleosome complex forms the chromatin, which is further condensed to chromosomes during mitosis. Changes in the chromatin structure enable the rapid and reversible regulation of gene expression and subsequent biological events, including drug responses, without a heritable genetic alteration. This process, called epigenetic regulation, is accomplished through post-translational modifications of histone tails and DNA methylation . It is now known that the positioning of nucleosomes offers another layer of epigenetic regulation of gene expression and genomic stability . Due to space limitation, we do not refer to the role of DNA methylation for epigenetic regulation in MM, which is a subject of other excellent review articles [59, 60]. N-terminal histone tails are rich in lysine, arginine, serine and threonine, which serve as substrates for post-translational modifications such as methylation, acetylation, phosphorylation, ubiquitination, sumoylation and deamination. These modifications affect the interaction of DNA with histones and other DNA-binding protein complexes, thus playing a pivotal role in the epigenetic regulation of several biological events . Among the four core histones, histone H3 is most important for chromatin organization; the methylation of lysine on position 4 of histone H3 (H3K4) and H3K36 is generally associated with open chromatin structures, whereas the methylation of H3K27 and H3K9 represents a hallmark of condensed chromatin at silent loci (see below). Alterations in these modifications entail various pathological conditions; however, the epigenetic mechanisms underlying drug resistance have not been fully elucidated. Yet, some studies have suggested the involvement of an altered chromatin state by H3K4 demethylation in anti-cancer drug tolerance [62, 63]. Chromatin organization is spatiotemporally regulated by the acetylation status of histone tails, which is determined by the dynamic balance between two counteracting enzymes: histone acetyltransferases (HATs) and histone deacetylases (HDACs). HATs are composed of more than 10 enzymes that belong to at least four structurally distinct families (p300/CGP, GNAT, MYST and others) and transfer an acetyl group from acetyl-CoA to the lysine residues of histones, resulting in neutralization of their positive charge and dissociation from the negatively charged phosphate groups of DNA . As a result, the chromatin structure becomes less condensed to allow the binding of transcription factors and auxiliary activators such as BET (bromodomain and extra-terminal) family proteins BRD2, BRD3, BRD4 and BRDT. BRD4 and BRD2 directly bind to ε-N-acetylated lysine residues of core histones at promoter regions and facilitate transcription and elongation of downstream genes by recruiting Mediator and P-TEFb complexes . Overall, histone acetylation is a histone mark associated with active gene expression, which is best exemplified by p300-mediated acetylation of H3K27 at enhancer regions . In general, HATs tend to be inactivated in cancer cells. In MM, overexpression of the miR-106b-25 cluster down-regulates the expression of PCAF (p300/CBP-associated factor), a histone acetyltransferase involved in transcriptional control of TP53 . HDACs mediate the reverse process by removing acetyl groups from histone lysine residues back to acetyl-CoA, resulting in a condensed chromatin structure and transcriptional inactivation . Histone acetylation-mediated chromatin dynamics not only affect transcription but also modify the sensitivity to anti-cancer drugs, because DNA damaging agents like alkylators and topoisomerase inhibitors act less efficiently on DNA within condensed chromatin. Histone deacetylases (HDACs) regulate a plethora of biological phenomenon via deacetylation of histone and non-histone proteins. HDACs, 11 HDACs and 7 SIRT, are divided into four classes (I, IIa, IIb, III and IV) based on structural and functional differences (Fig. 2). Class I HDACs (HDAC1, 2, 3 and 8) serve as universal regulators of cell growth and death via transcriptional repression of negative cell cycle regulators including p21Cip1/Waf1  and deacetylation of the pro-apoptotic protein p53 . Class IIa HDACs (HDAC4, 5, 7 and 9) directly act on tissue-specific transcription factors, such as MEF2, Runx2 and FoxP3, to govern the development and functions of the musculoskeletal and nervous systems  as well as specific cell types such as regulatory T-lymphocytes . HDAC6, composes class IIb HDACs with HDAC10, is involved in the clearance of misfolded/unfolded proteins by facilitating aggresome formation, transport of aggregated proteins to microtubule organizing centers, and autophagolysosome formation (autophagy) via deacetylation of tubulin and chaperone proteins . Recent investigations revealed that HDAC1, 2, 3 and 6 are highly expressed in myeloma cells and contribute to their malignant behavior , suggesting that pan-HDAC inhibitors, such as panobinostat and vorinostat, are effective for MM compared with class I-specific HDAC inhibitors such as romidepsin and valproic acid. It is anticipated that the perturbation of HDAC1 and HDAC3 activity causes growth arrest and cell death in myeloma cells. In addition, HDAC6 inhibition may enhance the cytotoxic effect of proteasome inhibitors by increasing protein overload in myeloma cells, leading to ER stress-mediated apoptosis . These preclinical assumptions were substantiated by recent randomized clinical trials called PANORAMA studies, in which the combination of panobinostat, bortezomib and dexamethasone was more effective for relapsed and/or refractory myeloma patients than the combination of placebo, bortezomib and dexamethasone in terms of overall response and progression-free survival [76, 77]. Because class I HDACs are essential for the maintenance of normal proliferating cells, hematological and gastrointestinal toxicities are inevitably associated with HDAC inhibitor-containing regimens. Therefore, toxicity management holds a key to the success of MM treatment with HDAC inhibitors. Nonetheless, HDAC inhibitors are promising options for improving the treatment outcome in not only relapsed and/or refractory cases but also in newly diagnosed patients in the near future. Given the feasibility of therapeutic application, we have focused on the epigenetic aspect of CAM-DR in MM. We have found that proteasome inhibitors are able to overcome CAM-DR by disrupting VLA-4-mediated interaction of MM cells with BMSCs . Proteasome inhibitor-induced down-regulation of VLA-4 is not NF-κB-dependent but rather occurs via epigenetic mechanisms because genetic and pharmacologic inhibition of HDACs reproduced this process . Indeed, proteasome inhibitors repress the transcription of class I HDAC genes through caspase-8-mediated cleavage of Sp1 transcriptional activator [79, 80]. Furthermore, class I HDACs (HDAC1, 2, 3) determine the sensitivity of MM cells to proteasome inhibitors and other anti-MM agents. HDAC1 is strongly expressed in CD138-negative fractions of MM (Fig. 3) and represses the transcription of Xbp1 and CHOP, which may underlie the innate resistance of myeloma stem cells to ER stress-induced apoptosis elicited by proteasome inhibitors [56, 81]. Therefore, HDAC inhibitors could sensitize myeloma stem cells to proteasome inhibitors by restoring the expression of Xbp1 and CHOP . This theory at least partly explains the synergistic effects of bortezomib with panobinostat in the PANORAMA trials [76, 77] as well as the effectiveness of retreatment of MM patients who achieved remission with bortezomib and relapsed more than 6 months after the initial treatment . Histone methylation provides more complex epigenetic codes than acetylation-mediated on–off type determination. Histone methylation exists as the mono-, di- or tri-methylation of lysine residues and as the mono- and di-methylation of arginine residues on each core histone. The position and depth of methylation (mono-, di- or tri-) individually define the biological output of each mark (Table 1). In sum, transcriptional activation is associated with H3K4me1 at enhancer regions, H3K4me2/me3 at promoter regions as well as H3K36me3, H3K79me1/me2/me3, H4R3me1 and H4K20me1 at gene bodies, whereas gene silencing is marked with H3K9me2/me3 at enhancer regions and H3K27me3 at promoter regions . In addition, H3K9me2/me3 and H4K20me3 are responsible for the repression of transcription from repetitive and transposable elements, thereby contributing to genomic stability. The position- and methylation depth-dependent difference in functional outcome is at least partly explained by reader proteins bind to each modification. For example, ATP-dependent DNA helicase CHD1 binds to di- and tri-methylated H3K4 via its chromodomain and remodels the chromatin to an active configuration. For transcriptional repression, heterochromatin protein 1 (HP1) binds to H3K9me3 via its chromodomain to constitute deeply silenced heterochromatic regions. Similarly, the reader protein CBX binds to H3K27me3 and recruits other components of Polycomb repressive complex 1 (PRC1) and subsequently PRC2 for gene silencing [59, 85]. Mammalian cells possess more than 30 histone methyltransferases also called as lysine methyltransferases (KMTs) that belong to 8 families composed of the Su(var)3-9, Enhance of zest and Trithorax (SET) family and KMT4/DOT1L, which lacks the SET domain and exclusively methylates H3K79 . Each KMT catalyzes the methylation of different positions at three depths, namely 1, 2 or 3 methyl groups at each residue (Table 1). Recent data support the theory that individual histone changes are not sufficient to influence gene expression, but their combinatorial patterns are more important. The initial investigation revealed the presence of 51 distinct chromatin states to govern the epigenetic modulation of gene expression across the human genome . Another study has defined over 800 different combinatorial patterns of histone changes, confirming the joint effect of histone modifications . Moreover, the landscape of histone modifications is dynamic and constantly changes with the functional interactions of specific histone modifications, such as the requirement of H2BK123 ubiquitination for subsequent H3K4me3 and H3K79me2 . Abnormal patterns of histone modifications are commonly observed in hematological malignancies. Mutations of histone-modifying enzymes and other epigenetic regulators have been reported in numerous cancers including MM . An initial study using NGS has discovered recurrent non-synonymous mutations in histone-modifying enzymes KDM6A/UTX, KMT2A/MLL, KMT2B/MLL2, KMT2C/MLL3 and KMT3G/MMSET, which commonly cause an increased expression of HoxA9, proposing a potential therapeutic target in MM . In addition to aberrant expression of HoxA9, deregulated MMSET, which stands for Multiple Myeloma SET domain, drastically alters the gene expression program, which may be responsible for malignant behavior of MM harboring t(4;14). MMSET is overexpressed in an aggressive form of MM carrying t(4;14), which is deteced in 10–15 % of all MM patients . The MMSET/WHSC1/NSD2 gene is ubiquitously expressed in all tissues and generates MMSET-1, MMSET-2 and other minor transcripts . The longest transcript MMSET-2 is composed of four domains: PWWP (proline-tryptophan-tryptophan-proline) domain, a HMG (high mobility group) box, a PHD (plant-homeodomain) zinc finger and a SET domain . MMSET mainly catalyzes H3K36 dimethylation and H4K20 trimethylation, which mediate transcriptional activation of oncogenic loci and repair of DNA double-strand breaks, respectively [93, 94]. Drug resistance of MM cases carrying t(4;14) is at least partly explained by H4K20me3-mediated recruitment of 53BP1 and enhanced repair of DNA damage induced by anti-cancer agents . In addition, the accumulation of H3K36me2 marks causes global reduction and focal accumulation of H3K27me3 via redistribution of KMT6A/EZH2, resulting in altered gene expression program favoring cell proliferation and survival [95, 96]. Increased expression of MMSET underlies the constitutive activation of NF-κB, a hallmark of MM in advanced stages . MMSET knockdown leads to a decrease in cell proliferation, activation of caspase-3 and caspase-9, and reduced expression of adhesion molecules (DSG2 and ADAM9) in MM cells harboring t(4;14) . These findings make MMSET amenable to therapeutic interventions. A reduction in H3K27me3 is also caused by misregulation and/or mutations in the H3K27 methyltransferase KMT6A/EZH2 and H3K27 demethylases KDM6A/UTX and KDM6B/JMJD3 in numerous cancers, which results in altered chromatin states linked to malignant transformation . Furthermore, somatic mutations in H3K27 have been observed in aggressive gliomas [100, 101]. These findings indicate that H3K27 methylation is profoundly implicated in oncogenesis; however, relatively little is known about its specific role in MM biology including CAM-DR. Recently, we identified H3K27me3 as a critical histone modification for CAM-DR in MM . Cell adhesion counteracts anti-cancer drug-induced hypermethylation of H3K27 via Akt-mediated inactivating phosphorylation of EZH2, which sustains the expression of anti-apoptotic genes, such as IGF1, BCL2 and HIF1A, to promote drug resistance in MM cells. 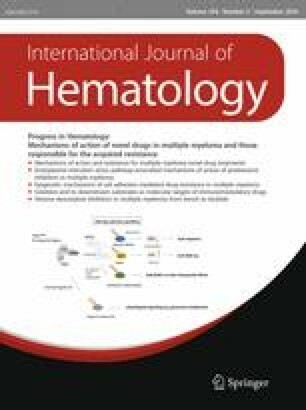 Inhibition of the IGF-1R/PI3 K/Akt pathway was able to reverse CAM-DR by promoting EZH2 dephosphorylation and H3K27 hypermethylation both in vitro and in refractory murine myeloma models. This is the first report of the epigenetic mechanism for CAM-DR involving a regulatory circuit from the membrane to the nucleus (Fig. 4). In accordance with this model, small compounds counteracting EZH2 phosphorylation, such as PI3K/Akt, CDK and IGF-1R inhibitors, were found to be effective for the reversal of CAM-DR in vitro and in vivo. Of these, the IGF-1R inhibitor OSI-906 appears to be particularly effective in overcoming CAM-DR, which may be translated to the clinic to improve the treatment outcome of myeloma patients in combination with conventional anti-MM agents. In support of this view, the potent and selective cytotoxicity of IGR-1R inhibitors against MM cells was clearly demonstrated by a recent systematic pharmacological screen using 119 cell lines from >10 different types of hematologic malignancies . As anticipated, PI3K and Akt inhibitors were also effective for MM cells albeit with lower selectivity than IGF-1R inhibitors [102, 103]. EZH2 is frequently overexpressed and dysregulated in multiple types of cancer. The expression level of EZH2 is correlated with the higher proliferation rates and aggressive behavior of cancer cells as well as the poor prognosis of patients with breast, prostate and bladder cancers . It has been reported that EZH2 up-regulation is mediated by IL-6, through c-Myc activation, or is a consequence of EZH2-targeting miR-26a down-regulation in MM . Together with the aforementioned inactivating mutations of H3K27 demethylases (UTX and JMJD3), all of these mechanisms can explain the increased levels of the H3K27me3 silencing signature at PRC2-targeted genes in MM cells [106, 107]. On the contrary, EZH2 functions as a tumor suppressor in some types of cancer. Inactivating mutations of EZH2 were found in patients with myeloid malignancies including myelodysplastic syndrome and myeloproliferative neoplasms, and have been associated with poor patient survival [108, 109]. In line with this observation, mice with conditional deletions of EZH2 and TET2 in hematopoietic stem cells develop myelodysplastic syndrome and myeloproliferative neoplasms [110, 111]. Loss-of-function mutations and deletions of the EZH2 and SUZ12 genes have been reported in 25 % of T-cell acute lymphoblastic leukemia . Consistent with this finding, the conditional deletion of EZH2 in bone marrow cells causes T-cell leukemia . These results suggest that the oncogenic role of EZH2 is cell context-dependent and differs between solid tumors and hematological malignancies. EZH2 is only rarely mutated or deleted in MM ; therefore, it can integrate environmental cues to biological output enhancing malignant phenotypes in this disease. From a mechanistic standpoint, it is interesting that EZH2 methylates cellular proteins other than histone H3 and modulates their functions. For example, Kim et al. showed that EZH2 methylated STAT3 and up-regulated its transcriptional activity, contributing to the maintenance of stem cell phenotypes and tumor progression of glioblastoma and possibly in MM [28, 34]. Taken together, EZH2 is central to tumor biology, from the initiation of cancer to drug resistance, and thus is a major therapeutic target in various cancers. Overall, these findings provide a rationale for the inclusion of epigenetic drugs, such as HDAC inhibitors and KMT/KDM inhibitors, in combination chemotherapy to increase the therapeutic index in MM (see below). As mentioned above, panobinostat, a pan-HDAC inhibitor, has already been approved for the treatment of relapsed and refractory MM in combination with bortezomib and dexamethasone [76, 77]. It is noteworthy that the combination of panobinostat and bortezomib is effective for bortezomib-resistant cases, as anticipated from the results of in vitro experiments. This “one-drug addition” effect is well explained by preclinical evidence that HDAC6 inhibition enhances bortezomib-induced ER stress leading to proteotoxic cell death  and HDAC1 inhibition could overcome the innate resistance of myeloma stem cells to bortezomib by restoring the expression of Xbp1 and CHOP, both of which are indispensable for ER stress-induced apoptosis . In this context, another interesting target is HDAC6, a class IIb cytoplasmic HDAC that plays a central role in the degradation of misfolded proteins through autophagy . A selective HDAC6 inhibitor, ACY-1215, is expected to be more effective for MM in combination with proteasome inhibitors and less toxic than pan-HDAC inhibitors . The efficacy of ACY-1215 has been demonstrated in in vitro and in vivo experiments  and is now tested in ongoing phase I/II clinical trials. Histone methylation-modifying drugs (KMT inhibitors and/or KDM inhibitors) are under development, but their efficacy has not been fully studied in vivo yet . One of the most important targets in MM is KMT3G/MMSET because of its universal expression in MM and several other cancers as well as its contribution to drug resistance and the poor prognosis of patients who overexpress this enzyme due to t(4;14). MMSET is believed to exhibit its activity through the PHD domain, as mutagenesis in this domain abrogates the methyltransferase activity of MMSET . Thus, targeting the PHD domain of MMSET is an attractive strategy for the development of new epigenetic drugs, which could improve the prognosis of MM patients harboring t(4;14). EZH2 is another good candidate for anti-MM drug development. Given the role of EZH2 inactivation for CAM-DR, small molecular inhibitors of KDM6A/UTX or KDM6B/JMJD3, which counteracts EZH2 to increase H3K27 trimethylation, may be useful for repressing anti-apoptotic genes that operate for the acquisition of drug resistance in MM. Finally, novel drugs targeting reader proteins of epigenetic marks are also under development. A promising example is BET inhibitors, which disrupt the binding of the bromodomain protein BRD4 to oncogenic super-enhancers, resulting in down-regulation of c-Myc in MM cells [119, 120]. Epigenetic drugs would pave a new avenue to more effective treatments because of their unique mode of action. Y.F. and J.K. received the Award in Aki’s Memory and the Kano Foundation Research Grant, respectively, from the International Myeloma Foundation Japan. YF received research funding and honoraria from Janssen Pharmaceutical K.K., Takeda Pharmaceutical Co., Novartis Pharmaceutical Co., Fujimoto Pharmaceutical Co., Eisai Pharmaceutical Co., Celgene Co. and Bristol-Myers Squibb Co. JK declares no conflict of interest.